Interest in renewable energy sources has been on the rise for the past few years and, with the cost of solar and wind power falling below coal for the first time in history, interest is sure to grow even more. The problem is, building a renewable energy system can be difficult for the average person. Regulations, construction rules, and financing can all get in the way far too easily. Luckily, Positive Energy is here to help mitigate a number of these problems. Imagine you inherit a large plot of flat land in Arizona, and you have no reason to hold it. You discover that it is perfect for a solar farm, so you put together a plan to use the land to generate power. Once you're ready, you can head over the Positive Energy and submit your project on the platform to pitch your idea to investors who are interested in funding these types of projects. The system will even pair you up with investors who match certain criteria that make them appropriate for your plan. Once funded, you can maintain your due diligence documents within the system, so everyone involved knows exactly what is happening. After the farm is built and you are generating electricity, Positive Energy can help you manage and monitor your equipment. With management dashboards, you can see the production, efficiency, and health of your entire property. You can see historical data and compare it to current data to look for anomalies, and even get reports on unexpected behaviors. For investors, the system gives the ability to buy and sell assets easily. The whole process is done using blockchain, so when a project is initiated, a certain number of tokens are created. Those tokens' value fluctuates as the value of the project fluctuates. As an owner of a token, you can sell it at its market value, releasing you of the liability, but also of the future potential. The technology also protects all of the data in the system, including contracts and due diligence. 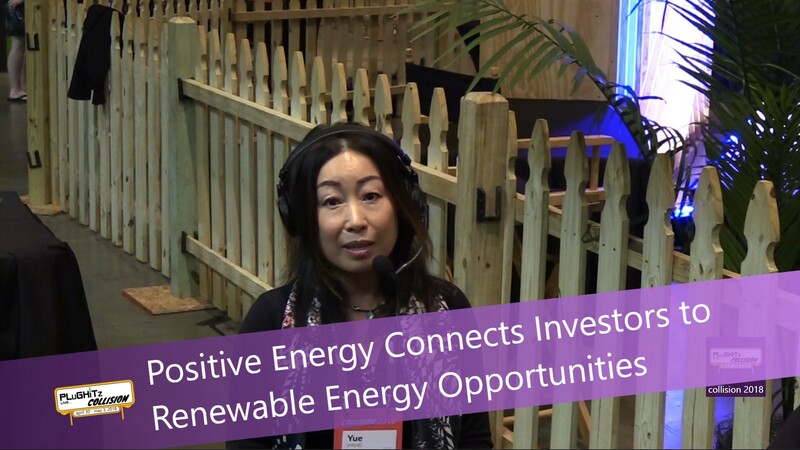 Positive Energy is available now for both investors and providers.